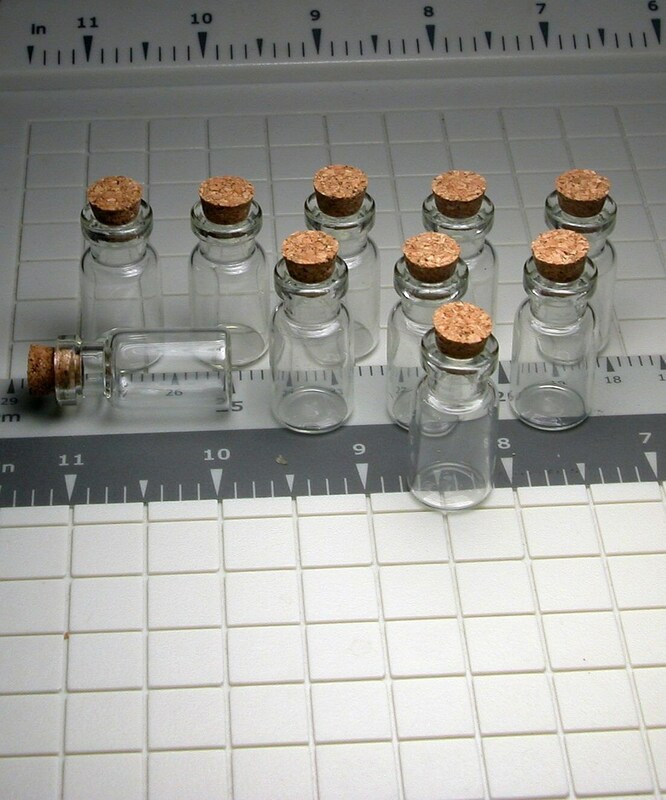 These are factory new miniature bottles and never used. 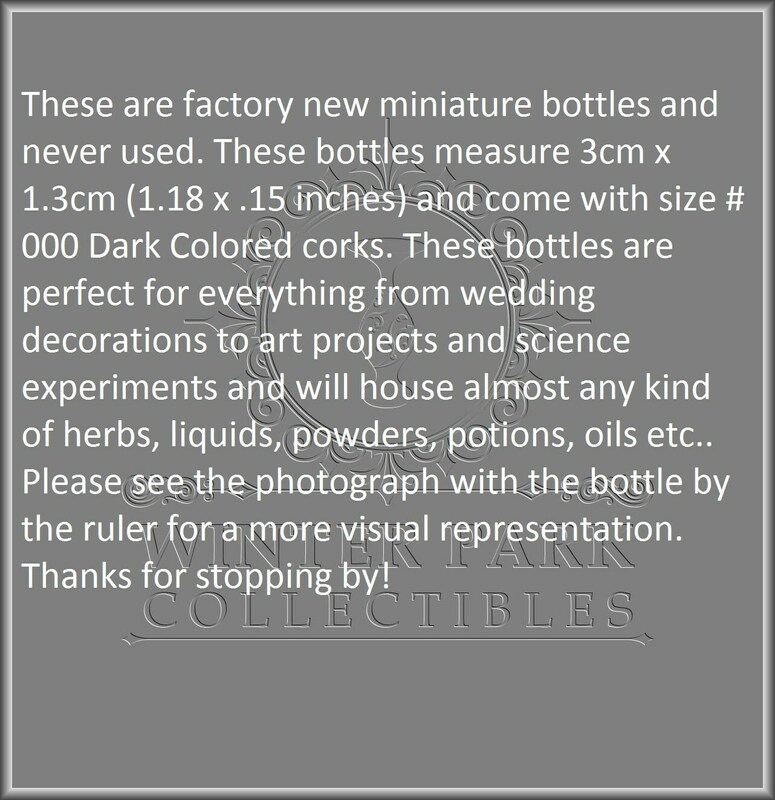 These bottles measure 3cm x 1.3cm (1.18 x .15 inches) and come with size #000 Dark Colored corks. 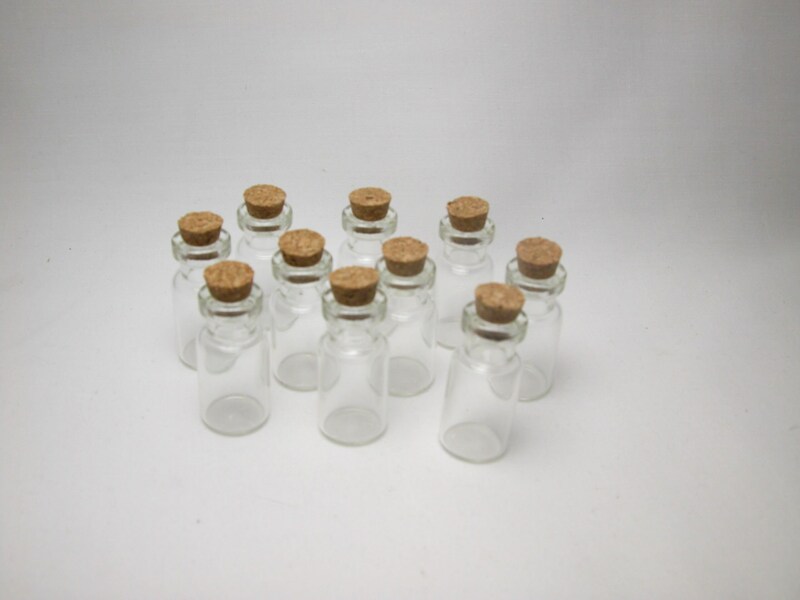 These bottles are perfect for everything from wedding decorations to art projects and science experiments and will house almost any kind of herbs, liquids, powders, potions, oils etc.. Please see the photograph with the bottle by the ruler for a more visual representation. Thanks for stopping by! Great seller - super fast shipping - thank you!! Arrived in mint condition and it was fast! The description page and pictures were exactly what it is. Thank you very much! My order came right away. Nicely packaged.